Stampin’ Up! Dandelion Wishes for the Crazy Crafter’s Blog Hop! Hey, y’all! It’s way later on a Saturday (or any day, for that matter!) than you’re used to seeing me, but…I was tickled (and…amazed!!) 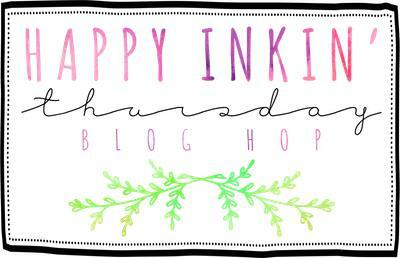 to be invited by my friend Kylie Bertucci to be the guest on the Crazy Crafters Blog Hop! For these hops, everyone who plays along CASEs a card they find on my blog. Including me! So – I went thru some past posts and found one that really appealed to me. I loved the DSP and stamped flowers and the layout! Stampin’ Up! Watts of Courage for the World Autism Day Blog Hop! While I’m not directly affected by autism, did you know that as many as 1.5 million Americans today are believed to have some form of autism? And this number is on the rise. Based on statistics from the U.S. Department of Education and other governmental agencies, autism is growing at the startling rate of 10-17% per year. At this rate, estimates state that the prevalence of autism could reach 4 million Americans in the next decade. And, autism knows no racial, ethnic, social boundaries, family income, lifestyle, or educational levels and can affect any family, and any child. Happy Sunday, folks! Hope this post finds y’all well and having a good weekend! Hey, y’all! It’s Monday – and I’m home! So – I did almost miss my flight yesterday – I had 830am in my head. So I rolled up to the gate at 630am. And then got the message from the Delta app saying flight 2155 was loading. I thought it was weird that they were telling me about a different flight than the one I was on…. Before I get going – be sure to remember that today is the first day of the Online Extravaganza – with a special 24-hour bonus sale! Read all about it down below and then get to loading up on all your favorites! Now – one of the prettiest new sets in the 2018 Occasions Catalog is called Lovely Wishes. We watched Billie Moan do a wonderful demonstration using this stamp set at OnStage. I started with a Tranquil Tide card base – cut at 4 1/4″ x 11″ and scored/folded at 5 1/2″. Across the front – on the bottom left and top right corners, I stamped the leaf-filler image several times in Tranquil Tide ink. Then I embossed the front of the card in the Layered Leaves Dynamic TIEF. I matted a piece of Painted Autumn DSP on some Lemon Lime Twist and adhered it with Fast Fuse at a slight angle directly on the card front. For the art and sentiment, I stamped the two curved leaves image in Tranquil Tide, making an oval with the images. Then I used the leaf fill image and stamped it – off center – in Lemon Lime Twist. I used Daffodil Delight to stamp the small flower filler images; then I added the sentiment in Tranquil Tide. I matted the panel on Lemon Lime Twist and popped it over the card front with Stampin’ Dimensionals. I added a few Pearl Basic Jewels and wrapped a length of Whisper White Solid Baker’s Twine around the card base, tying it off with a bow. On the inside, I stamped another Lovely Wishes sentiment in Tranquil Tide on a Whisper White panel. Then I added the smaller floral image in Tranquil Tide (outline and leaves) and Daffodil Delight (flower). I Fast Fuse’d the panel to a Lemon Lime Twist mat and into the card base, and the card was done! …and some more Painted Autumn DSP on the envelope flap. Did you Miss the Stamparatus Reservation Yesterday? More extravaganza excitement! 20 -26 November 2017, shop exclusive sales and deals on select items. Deals end 26 November at 11:59 PM (Mountain Time). Once we got home, he had a little lunch and then…crashed. Homecoming is exhausting for a guy!